Nothing good comes for free, and so it’s proved by the Microsoft – Nokia deal (in case you didn’t know about it, we wrote about it when it was announced, a little while ago). A report by Bloomberg says that Microsoft will pay Nokia $ 1 billion in order for the biggest mobile phone manufacturer in the world to use Microsoft’s newest mobile OS, Windows Phone 7, on its devices. 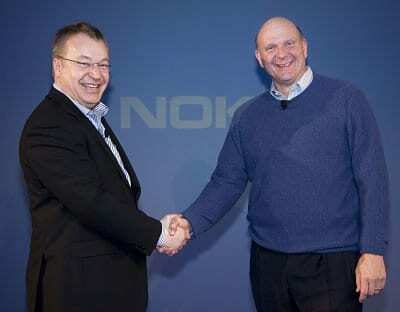 In turn, Nokia will pay Microsoft a fee for each copy of the operating system it uses on its phones. “How does Nokia benefit from this?” you ask… Nokia benefits quite a lot, and that’s because the company has spent a lot of cash developing Symbian for its smartphones (which didn’t go too far), and starting over really wasn’t an option. By “going Microsoft” they will be able to enter the market immediately with a huge cash infusion from Microsoft. Not a bad deal at all. The agreement between Microsoft and Nokia has not been signed yet, a Microsoft representative said, but the same sources claim it runs for five years.